“Catchy” isn’t a term thrown around in the realm of death metal often. 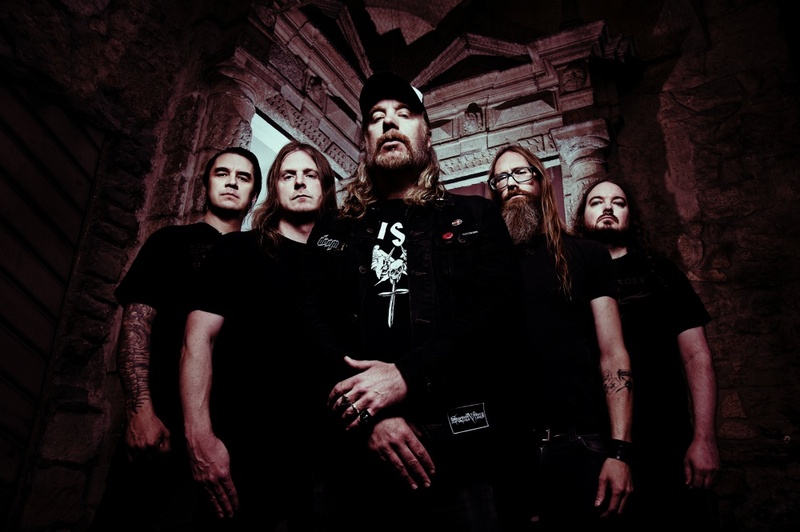 It comes to mind when thinking of late greats Bolt Thrower, but it really rings true when thinking of Swedish masters of melodic death metal, At the Gates. I’ve never seen another band get a room of 1000 people to sing an entire song louder than the band itself than At the Gates. 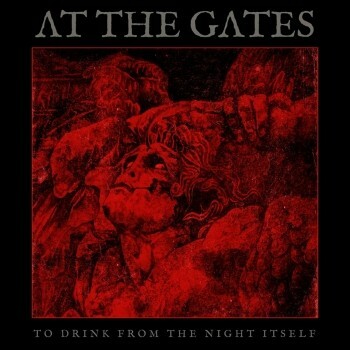 Coming 4 years after the release of At War with Reality (their first studio album in 19 years) and following the departure of original member and lead guitarist Anders Björler, At the Gates announced To Drink from the Night Itself. The band brought in Jonas Stålhammar (Bombs of Hades, God Macabre, The Lurking Fear) as Björler's replacement. I personally didn’t expect them to continue making music, nor did I personally think it was necessary... but I am pleasantly surprised with this record. It does nothing to tarnish their legacy, and only solidifies the sound they spent years pioneering. After a quick acoustic/orchestral intro we just right into the title track, which is definitely a call back to the song “Terminal Spirit Disease,” and even though Anders Björler isn’t there, it sounds like he never left. "A Stare Bound In Stone” opens with a very stompy part and then fires right up into the thrash-inspired tempo and riffage you’d expect from the Slaughter of the Soul-era of the band. Tomas "Tompa" Lindberg's signature scream sounds like nothing has changed in the almost 20 years since their original run. You can expect much of the same from the next several tracks, but it doesn’t feel monotonous. It sounds very much like they haven’t missed a beat. Every song is catchy, hooks you in. The drumming is tight and superb. Adrian Erlandsson has always blown me away with his capabilities in playing really fast, in the pocket and stylish. 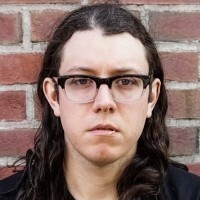 The rest of the tracks that really stand out include the moody and dark mid tempo “Daggers of Black Haze” which powers right into the D-beat and almost tragedy-esque “The Chasm” (Tragedy ripped off At the Gates on a riff on their last album) and the throwback heavy “A Labyrinth of Tombs," the blistering “In Death They Shall Burn,” and closing out the record is the slow, brooding “The Mirror Black,” which ends withs a violin/cello outro which really ties the whole record together. 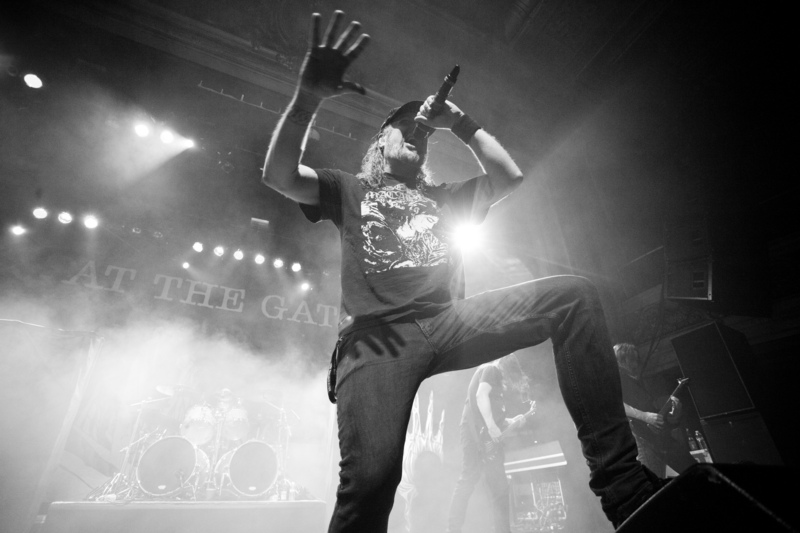 At the Gates manage to take their own formula and use it once again without beating a dead horse. It’s nothing new, but it still feels exciting and fresh. I’m honestly not very surprised considering how much they have under their belt. It’s a great addition to their already legendary catalog. To Drink from the Night Itself will be out on May 18 and can be pre-ordered at the link below.